With a competitive, evolving global market place, changes in outsourcing, and scarce availability of engineering talent, the decision to make or buy conveyors is one that many companies face every day. But there are several factors that need to be considered when making the critical decision to MAKE or BUY. There are many aspects that can easily add to the bottom line. Some factors are easily quantifiable, while others are harder to determine and measure. Production Capacity centers on time. And time, as simple as it sounds, is perhaps the biggest factor that is often miscalculated. Although you are already paying your employees, the time spent working on building a conveyor is time lost that they could be designing, improving, expanding and manufacturing your current product. This includes time by the engineers designing, researching, modeling, and creating BOM’s for the conveyor, time spent by your purchasing department procuring the components, as well as time spent by production staff manufacturing, assembling, testing and debugging the conveyor. As many businesses continue to see growth and scarcity of engineering resources, the time that current employees spend away from your core products comes straight out of the bottom line. Production Capacity also includes space. Space in most facilities is at a premium, so creating and maintaining an area to develop, manufacture and test a conveyor takes away from your production output, not to mention the space required for storing excess components and inventory to support conveyors. Typical manufacturing companies have engineers that can design a variety of components as needed, but ultimately conveyors are not a core strength for most. A company that specializes in manufacturing conveyors has done the necessary research. They’ve examined a variety of both environments and applications. They’ve invested time and money in testing the product in different scenarios and can predict the types of issues that will come with various environments and use. 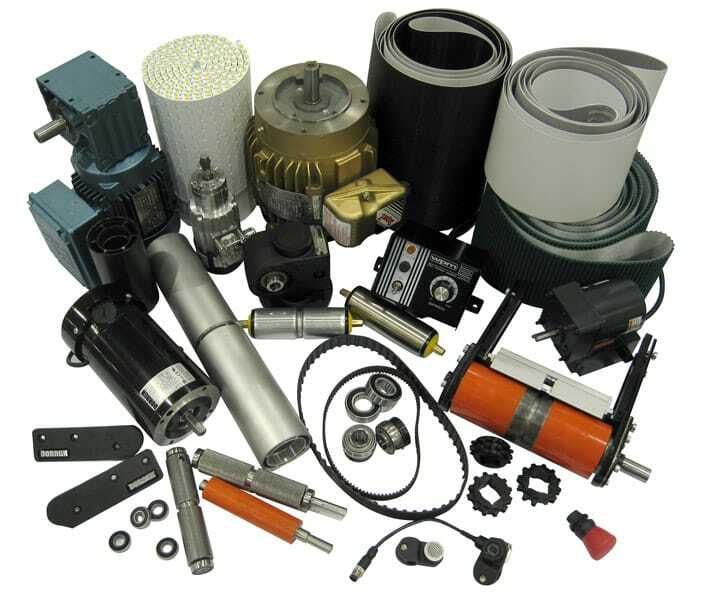 These companies are current with the latest technologies from belting, gears, drives and controls. They’ve worked with component suppliers to get not only the best volume pricing, but to ensure high quality components. 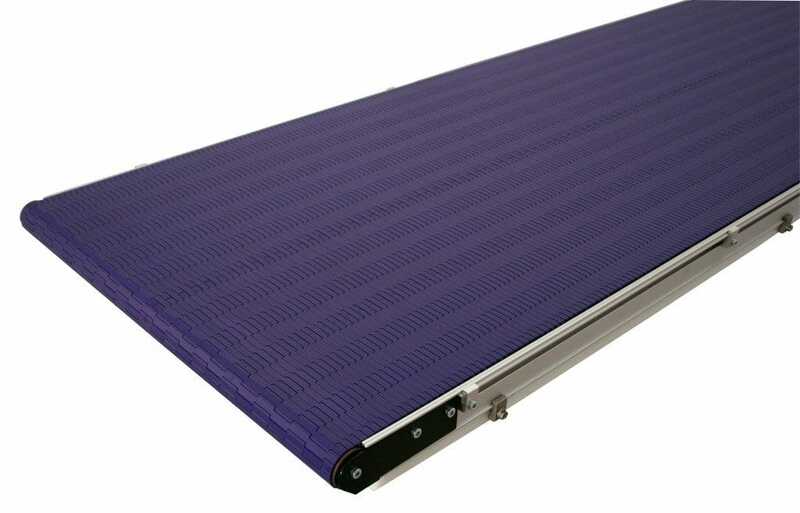 Reputable conveyor manufacturers have completed all the necessary upfront work to build conveyors – work that a company looking to build in-house will have to accomplish. Another item that can be considered a core strength for many is aesthetics and customer perception. All components on the equipment or machinery that bears your companies name are a direct reflection on your business. The look and feel of the conveyor, as well as its dependability to run can have a large impact on the customer’s overall impression and experience with your company. 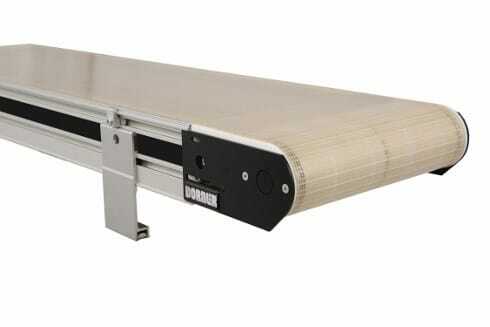 Quality of the conveyor can also directly impact the quality of your product. 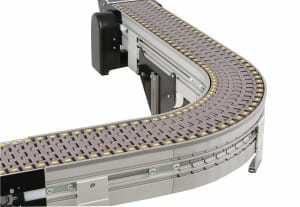 A smooth running conveyor not only shows well, it can protect products in process from start to finish. Scratched packaging, dented products and damaged materials can cost you money. A dependable conveyor fitted to an application will get your product from point A to point B safely and efficiently. Lastly, consider the service and support needed with installed conveyors. Conveyor manufacturers have drawings, manuals, spare parts lists and required maintenance ready to be accessed. Typical in-house fabrication is assigned to one employee who designs it for that exact application. If that person leaves, it can be difficult to find someone who can step in with the required knowledge to properly design and service conveyors. Training and documentation is usually limited, plus re-training can be difficult and costly. The ability to call a dependable conveyor supplier can significantly help reduce downtime. Repeatability is very dependent on documentation. From routine maintenance, to installation instructions, spare parts lists and troubleshooting, proper documentation can save a lot of time and effort. When building in-house, the conveyor will often undergo several modifications during the design and manufacturing process. Drawings down’t always get updated, parts lists aren’t created, manuals don’t exist; all of which can cause additional work in what can be very urgent, down-time situations. With any conveyor, wear parts or replacement parts are a necessity and how quickly you are able to obtain these parts can be vital to keeping the line running. Conveyors made in-house most likely will have parts purchased from various suppliers. If those suppliers discontinue making the parts needed as replacements, or even go out of business, you could be left scrambling to get the conveyors back in action. Conveyor manufacturers stay ahead of the curve with changes in components and can react quickly to your needs. They are prepared for emergency situations and can typically ship replacement parts as soon as the same day. This can save time and the hassle of trying to re-engineer the product internally. They can also provide preventative maintenance training and parts auditing programs to make sure you’re ready in case issues arise. With any project you need to account for hidden expenses – such as administrative costs. From processing a Purchase Order for each components in the conveyor to receiving and processing the parts into inventory, administrative costs can really as up. Plus, there are shipping and logistical expenses to get the necessary materials, not to mention the time to manage, move and inventory all of these materials. These costs can add up quickly. Changes can also contribute to hidden expenses. Starting with the design phase, changes can stem from vendor lead times and component changes, to the product learning curve. In the manufacturing and installation process design flaws, part problems, building obstacles and other unforeseen issues all contribute to last minute changes – all of which result in delays and increased costs. 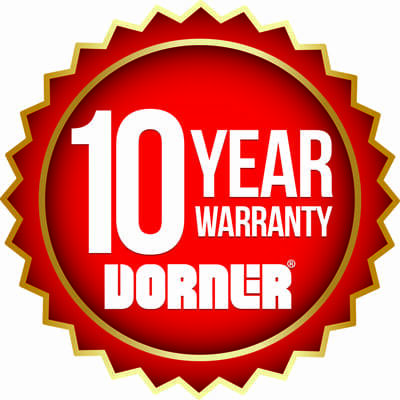 Another thing you’ll receive when buying a conveyor is a warranty. A good warranty can take the stress out of wondering if you’re purchasing a reliable product. It’s a guarantee from the manufacturer that the product is of a good quality and construction. If it were to contain any manufacturing defects, a warranty provides you the right to ask the manufacturer to deal with those issues. All of the above scenarios involve costs that can impact the overall bottom line of the company and have lasting effects on the production and quality of your core product. Ultimately, the decision to make or buy boils down to what’s in the best interest of each company. From our sales and support team to our D-Tools online conveyor configurator, we have the solutions to help simplify your conveyor decision.